Mahatma Gandhi, the Father of the Indian Nation, is synonymous with ahimsa and satya. One wonders who was the inspiration behind him. Gandhiji placed Shrimad Rajchandraji as foremost amongst those he considered his inspiration. 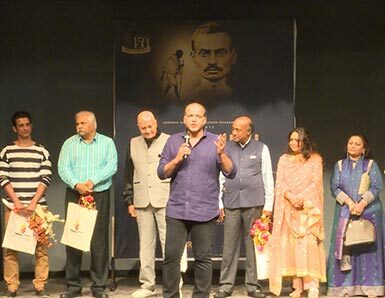 Shrimadji's direct interaction and His letters, both played a pivotal role in shaping Gandhiji's character and kindled in him the novel idea of using ahimsa to attain independence. 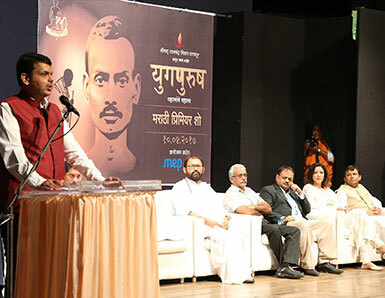 'Yugpurush - the play' is a heart-touching portrayal of this special bond between Shrimadji and Gandhiji that catapulted him from 'Mohandas' to 'Mahatma'. 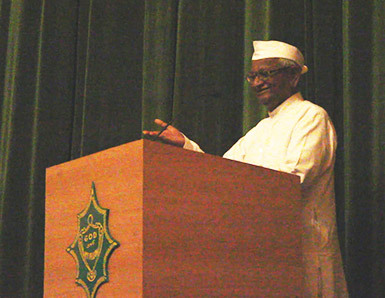 What began as friendship, progressed to Gandhiji's proclamation of Shrimadji as his spiritual mentor. Come witness this spectacular and life changing tribute to these two great souls!